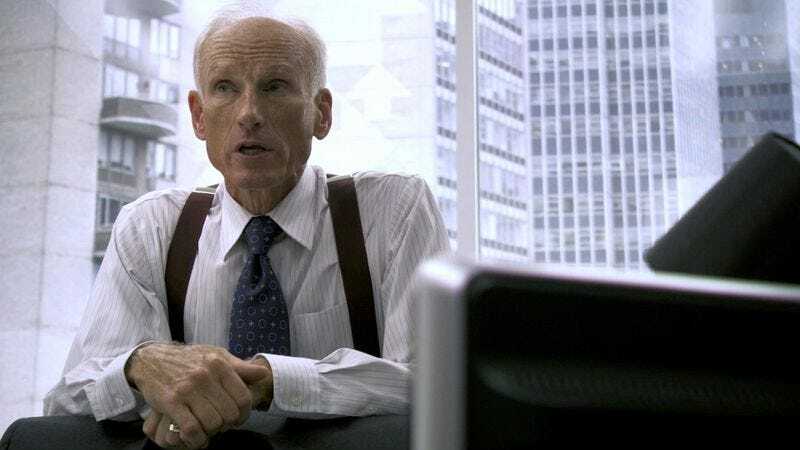 James Rebhorn, the veteran character actor whose supporting roles anchored dozens of blockbuster films and award-winning television shows, died Friday after a 12-year struggle with skin cancer. He was 65. Though he most recently played Claire Danes’ father Frank Mathison in Homeland, his career spanned more than 40 years. Rebhorn’s bread and butter were roles that called for a bland man in a suit—in films like Independence Day and The Game, in shows like Seinfeld and Enlightened. It’s a testament to his abilities that he made memorable roles that were often written to blend into the scenery. Other actors used what he provided as a background for some of their greatest performances—and though that sounds like damning with faint praise, it requires skill to let another performer steal a scene. Rebhorn was, in some sense, typecast; but he also found a way to use that to his advantage. He usually played roles that mocked his straitlaced, bureaucratic appearance; and he was almost always the bad guy. Rebhorn is survived by his wife, Rebecca Linn, and their two daughters.